South Tahoe Public Utility District (District) will receive proposals for its purchase of Laboratory Information Management System (LIMS) until February 9, 2009 at 5:00 p.m.
Agilent Technologies Inc. today announced it has renamed Velocity11 as Agilent Automation Solutions and selected LabAutomation2009 to introduce the new division. A worldwide leader in the petrochemical industry continues to expand their deployment of LimsLink to manage the integration between their laboratory instruments and LIMS at plant locations around the world. Thermo Fisher Scientific Inc., the world leader in serving science, today introduced significant functionality enhancements to Darwin LIMS, its purpose-built Laboratory Information Management System (LIMS) designed specifically for pharmaceutical manufacturing R&D and QA/QC. 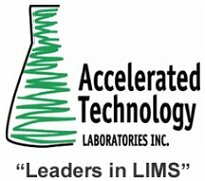 Contract research organisation XenoBiotic Laboratories, Inc. (XBL) has purchased LabLogic Systems' Debra LIMS solution to manage ADME data at its New Jersey research facility. GenoLogics today announced that Wellcome Trust is deploying its lab and data management solution for genomics, including integrations to next generation sequencing platforms. Managing and building customer relationships is a key contributing factor to the success of any business. To help in this task, Autoscribe announces the release of a new version of its ‘Feedback’ Customer Complaints Management system. Join Agilent Technologies’, the global leader in measurement technologies as a Sales Agent for the Life Science and Chemical Analysis division. Agilent Technologies Life Science Chemical Analysis’ Velocity11 business is a leader in providing laboratory automation solutions for drug discovery and a range of other scientific research and development applications. 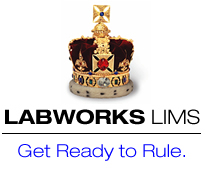 Help us become the standard in lab automation. Our goal, which we passionately pursue, is to provide every customer with the Ultimate Automation Experience™. LabAnswer is Hiring!!!!! We need a few great Senior LIMS Project Managers and Business Analysts to support and manage a Global LIMS implimentation and validation project. Great opportunity for those interested in a secure long term career environment. A listing of the latest posting of laboratory jobs and careers.